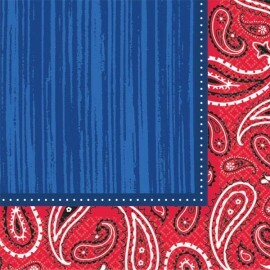 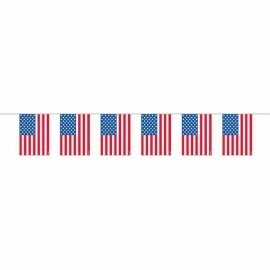 Bandana & Blue Jeans Beverage Napkins 2 Ply (25cm x 25cm) Pack of 16..
Garland American Flag Plastic 1.8m in length with 6 Flags at 17x22cm Indoor or Outdoor Use Each.. 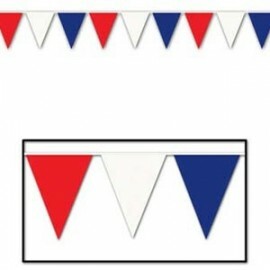 Giant Pennant Banner Red White and Blue (45cm x 36.57m) Indoor & Outdoor Use Each.. 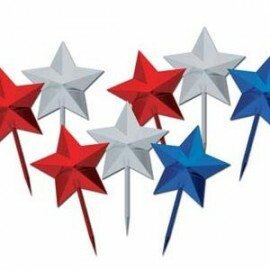 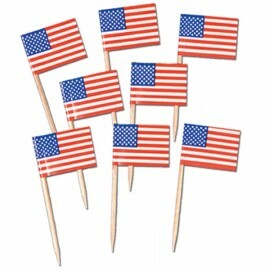 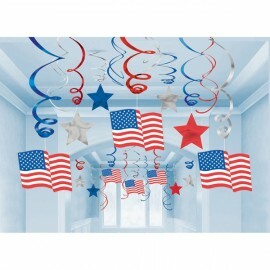 Hanging Decoration Swirls Patriotic American Flag Mega Value Pack. 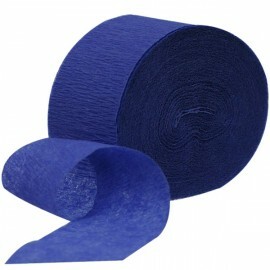 Includes 8 x Swirls with 17.7cm Cutouts, 8 x Swirls with 12.7cm Cutouts and 14 Plain Foil Swirls. 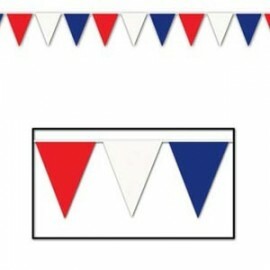 Pack of 30..
Navy Blue Crepe Streamer 24.68 Metres Long (81FT) Each..
Pennant Banner Red White Blue (45cm x 914cm) All weather Each..
Picks Stars Red Blue & Silver (7cm) Pack of 8..
Picks USA / American Flag (6.25cm High) Pack of 50..